Government is competing with organizations for the same hard-to-find resources -- skilled cybersecurity talent. By 2022, the cybersecurity workforce shortage is expected to reach 1.8 million in the U.S. alone according to the Global Information Workforce Study conducted every two years by the Center for Cyber Safety and Education (Center) and (ISC)². Not only do organizations need to recruit skilled people with hands-on experience, they need to train them faster than ever to position them on the frontlines of the cyber battlefield. Our national and economic security depend on it. Hostile nation-state cyber activity remains a top concern for U.S. government agencies. While there’s no one easy answer, a key to beating cyberattacks is the availability of on-demand cyber training to upskill the workforce. A trusted and reliable partner can design, build and sustain government cyber ranges. 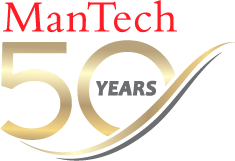 Cyber ranges, such as the ManTech Advanced Cyber Range Environment, enable unique hands-on training for federal cyber specialists through precise emulations of any network environment, regardless of size, at any level of fidelity. These ranges enable cyber specialists to learn cutting edge cyber techniques, evaluate tools, perform security architecture testing, and undergo live-fire exercises on an exact replica of the network they use on the job. Our adversaries are actively building their cyber capacity, and we must do the same. The challenge is to find, recruit and train the next generation of cyber professionals.